I wrote this feature for the Dallas Morning News. It was published on July 1, 2001. The scruffy pooch looked like all the other dogs seen trotting confidently along the road, dodging ’56 Chevys and old trucks. But once Guido Serrrano cleaned off the grease and grime stuck to the dog’s fur, his suspicions were confirmed: It was a Havana silk dog, a scarce breed worth up to $800 in Cuba – nearly 70 times the average monthly wage. The remarkable and little-known story of these coveted lap dogs reads like a canine soap opera. Once a favorite companion of the rich, the breed seemed to vanish after the 1959 revolution. The dog survived outside Cuba, thanks to a lone American breeder who bought 14 of them from exiles who settled in Texas. Inside Cuba, the silk dog was in danger until aficionados in the early ’90s launched a strict breeding program. Now another peril has emerged: The dog has suddenly become so popular in the United States that profiteers have started setting up “puppy mills” to mass produce the dogs, some American breeders warn. Dog brokers are said to ship the animals out of Cuba and into the United States via Canada, Mexico and other countries. Other breeders buy their dogs in Europe. Last May, 16 or so of the dogs were flown in from Hungry and auctioned in Missouri, breeder Katie Mayhall said. “The puppy mills are trying to get their hands on as many females as possible,” she said. Cuban breeders say they don’t know what all the fuss is about. Sure, they sometimes sell the dogs to foreigners – and they’d like to sell more. But there’s nothing sordid going on, they say, and puppy mills aren’t springing up across Cuba. One thing breeders agree on is that silk dogs are special. “You can take these dogs for ride on your bike or for a swim in the ocean. You can take them to the mountains or to the snow. Wherever you go, these dogs are happy – as long as they’re with you,” said Zoila Portuondo Guerra, a Cuban breeder and author of an authoritative guide to the dog, also known as a bichon Havanese. Bichon-type dogs are thought to have existed in ancient Greece. Centuries later, they surfaced in Mediterranean countries and were fashionable in Europe during the Renaissance, Ms. Portuondo said. As the years passed, bichons took on distinct characteristics in different regions. There was the Maltese and the Bolognese in Italy, the frisé in Belgium and France, the Lowchen in Germany and the Havanese in Cuba. Spanish merchants and boat captains – and perhaps their Italian counterparts – are thought to have taken the first Havanese to the Caribbean island. It was called “El Blanquito de la Habana” – The Little White One from Havana. The Blanquito mixed with dark-hued poodles arriving from France in the 19th century to produce the Havanese, the only bichon with a combination of colors, from black and gray to mother-of-pearl and ivory. Back then, the pooch lived a pampered existence, riding with its master in horse-drawn carriages along the Malecón, Havana’s famed seaside highway, and going to Sunday Mass with red ribbons in its hair. After Fidel Castro took power, most of the rich fled, leaving their dogs with servants and neighbors. Many thought that the revolution would fail and that they’d be back in Cuba in a matter of months. The revolution took hold, and the dogs settled into their new lives. Few people in the United States would have ever heard of the silk dog if not for an American woman’s chance visit to the dentist in the 1970s. Dorothy Goodale had raised Irish wolfhounds for years and was looking for a small dog to breed. She was in a dentist’s waiting room in Colorado when she spotted a photo of two little white dogs in a Spanish-language magazine. She didn’t know Spanish or recognize the breed, but she managed to track down the pets’ owners in Texas. 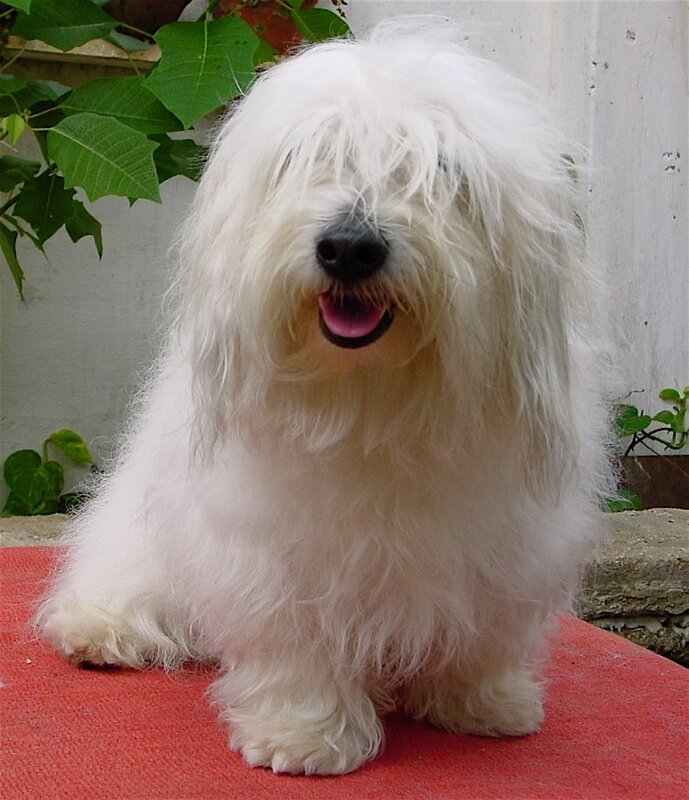 They were Cuban exiles, and their dogs were Havanese. Ms. Goodale bought the dogs but needed more if she were to begin breeding. For more than a year, she placed classified ads in Spanish-language newspapers in Miami. Finally, a Cuban woman called and asked if she’d be interested in her father’s silk dogs. He was in Costa Rica but was moving to Texas. His health was failing, and he needed to find a home for eight dogs. So the Goodales wired the money to Costa Rica. “We heard nothing for six weeks and started to think it was a hoax,” she said. Then she got a call from the airport. Her cargo had arrived. Ms. Goodale and her husband, Bert, bred 13 of their 14 dogs. In 1979, they founded the Havanese Club of America. And by the early ’90s, they had registered 1,060 Havanese. “There was a time when every Havanese in the world – outside of Cuba – could be traced back to the original 13 dogs we started with,” she said. 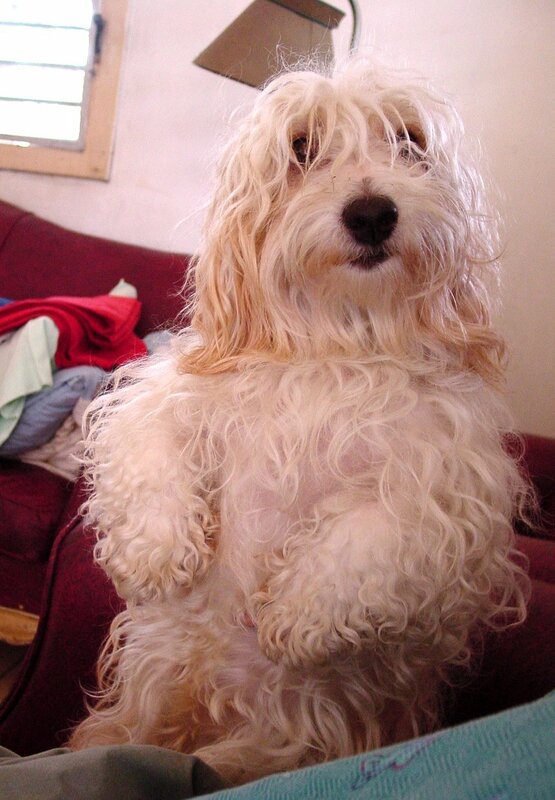 Back in Cuba, many Havanese had mixed with satos – Cuban mutts. And in the years after the revolution, the purest of the silk dogs were in danger of disappearing. 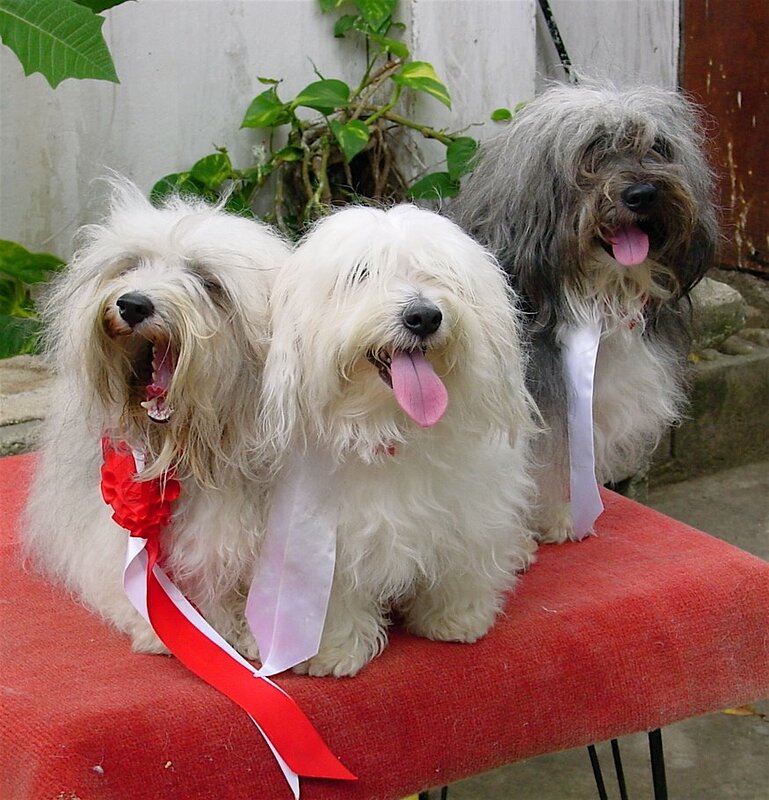 Ms. Portuondo founded Cuba’s Bichon Havanese club in 1991 and began breeding the best specimens she could find. She and other breeders started with about 15 dogs and now have 374 on the club registry. Her husband is Mr. Serrano, president of Cuba’s Havanese club and the man who found Susana Bonita, the grease-covered silk dog. “She was covered with grease, ticks and fleas when I got her. A mechanic had owned her,” Mr. Serrano said from his home in Havana. As Mr. Serrano spoke, silk dogs romped on the tile floor. Somewhere in the whirling pile of paws and fur was Cosita (Little Thing), Diablo (Devil), Más Bonita (The Prettiest) and Princesa (Princess), so named because she likes to sit on pillows. They began breeding the dogs in the ’90s and have sold them to buyers in Spain, Argentina, Finland, Germany, Sweden and Holland. Prices in Cuba range from $250 to $800. Elsewhere, the dogs fetch from $1,000 to $2,500. The United Kennel Club recognized the breed in 1991 and the American Kennel Club in 1999. There are some 4,000 Havanese around the world, and their numbers continue to grow. Check tha AKC breeders registry for Havanese. I just got a beautiful sweet girl puppy from a breeder in my state, Washington. I want a pregnant female havanese puppy. How difficult is it to buy a top havanese from Cubato be picked up and brought to America? I can get to Spain to pick up the dog. I can pick up in Madrid to begin breeding here in Florida.